Casio G-Shock has teamed up with Japan’s B.League professional basketball league for sixteen limited edition DW-6900 models, including one B.League model and fifteen team models. 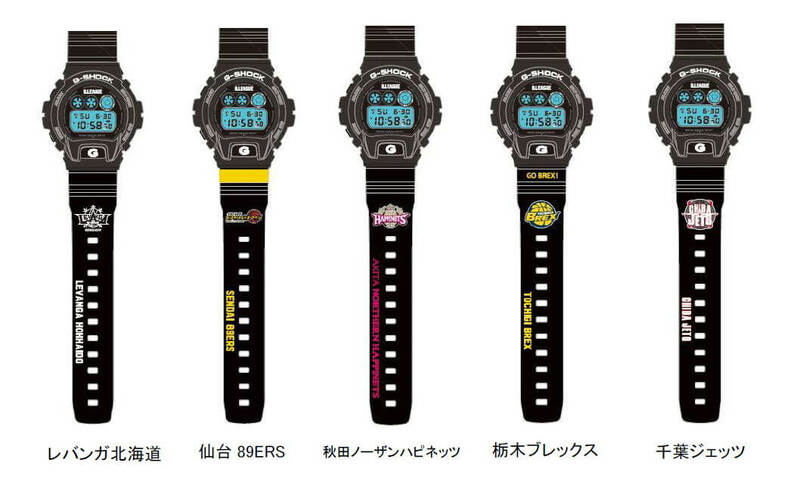 G-Shock is the official timekeeper for the B.League, with shot clocks that resemble the body of a 5600-series G-Shock. 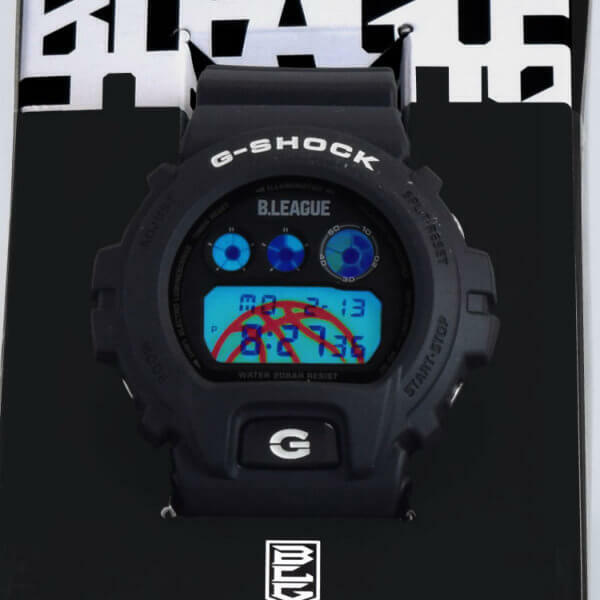 Each G-Shock x B.League model is a black Japan-made G-Shock DW-6900 with white lettering and a B.League logo on the face. 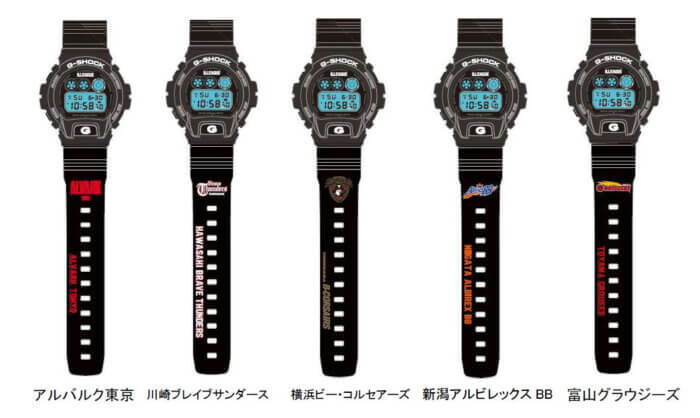 There is also a B.League-branded engraved case back and a basketball graphic on the EL backlight. 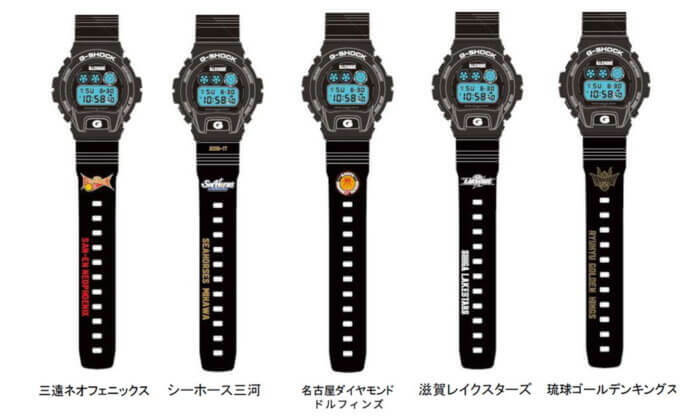 The B.League model has a logo on the lower band and the team models have a team logo and the team name on the lower band. 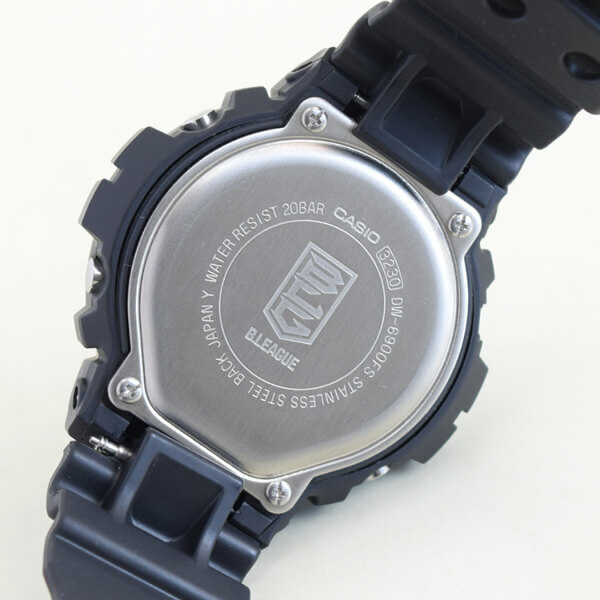 The B.League model is limited 300 units while the team models vary in their quantities depending on the team. The B.League model will be available at the B.League Online Shop and team models will be available at their respective online shops starting March 11. 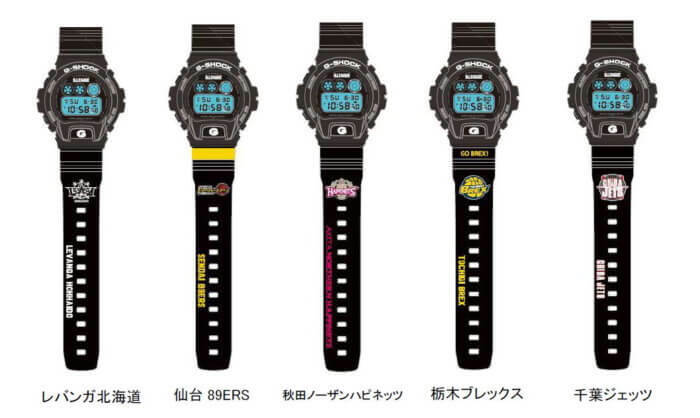 The watches have a retail price of ¥14,000 JPY each.